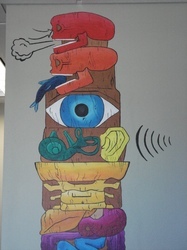 if you are interested in seeing this in person. 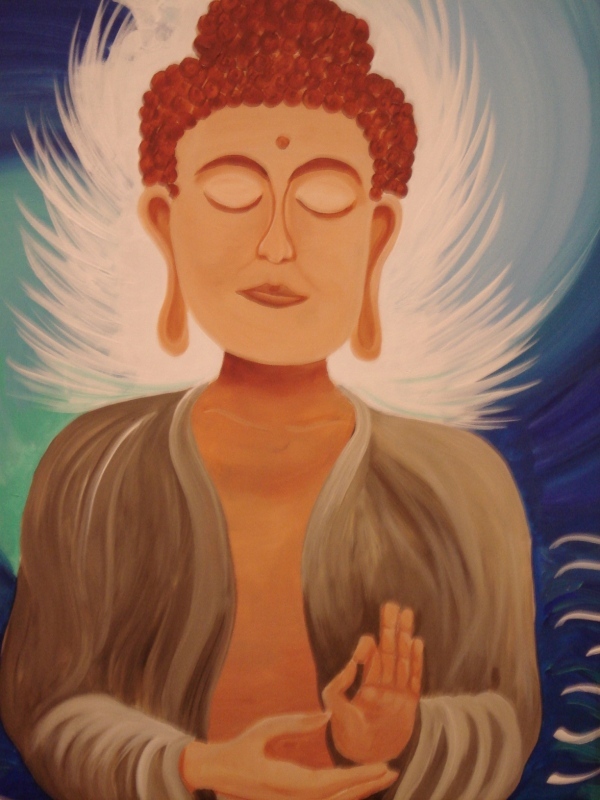 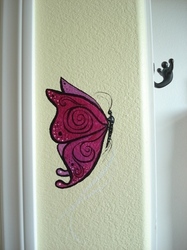 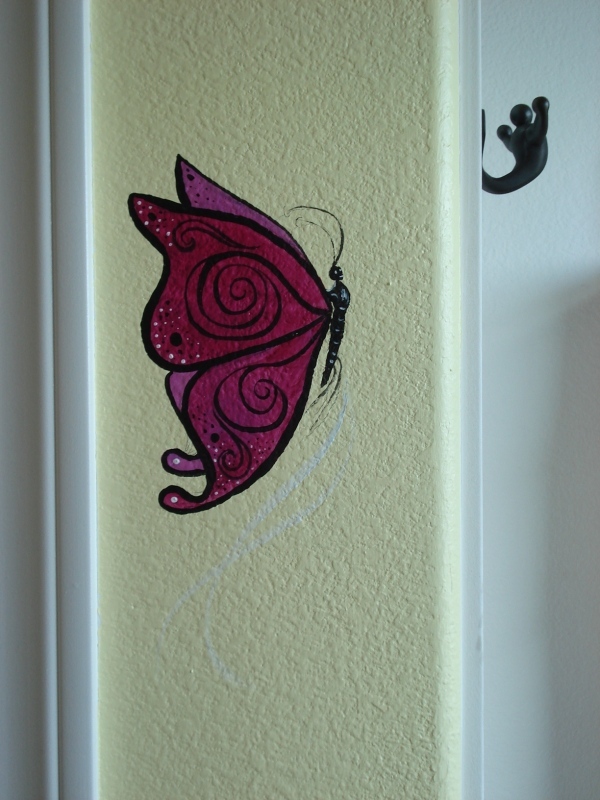 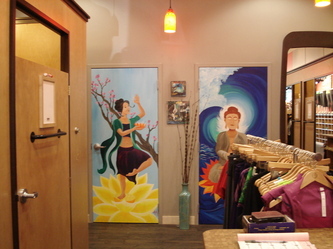 They also have my hand painted yogamats for sale, as well as a commissioned fine oil painting of a sunset. 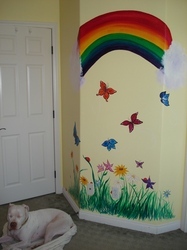 Click on the image to the left to link to their site. 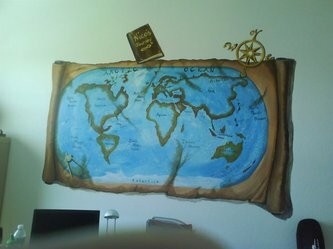 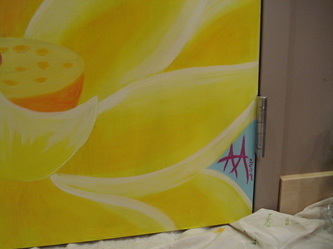 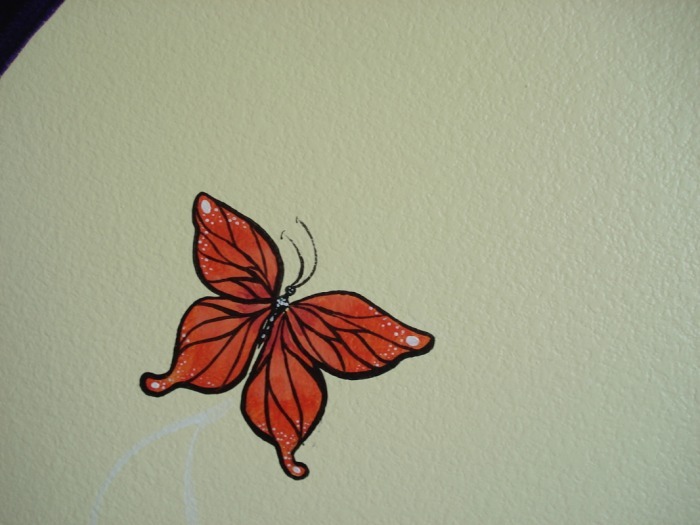 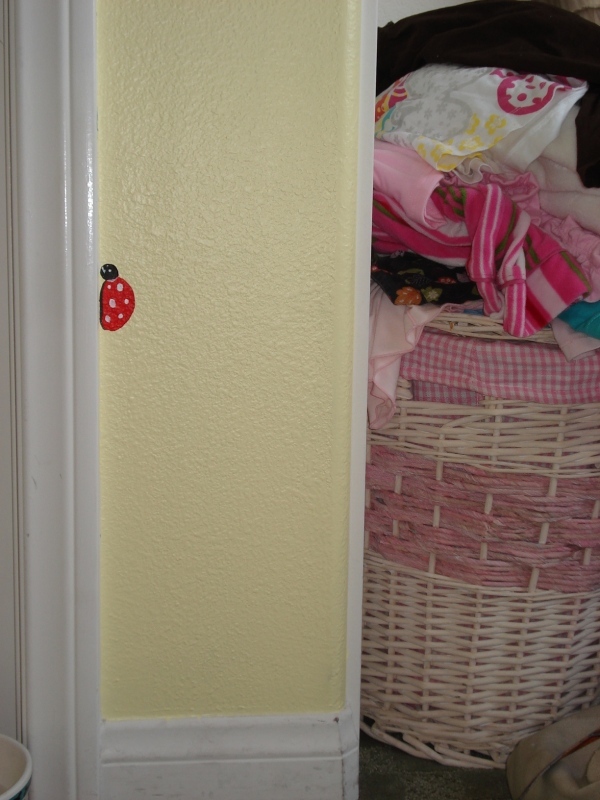 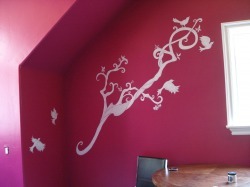 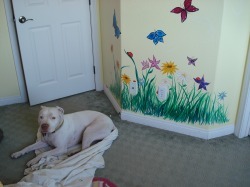 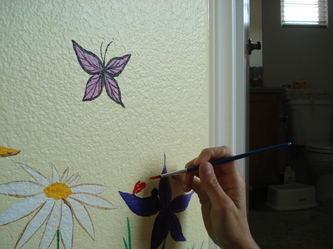 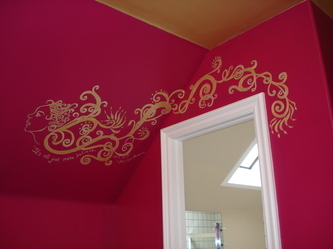 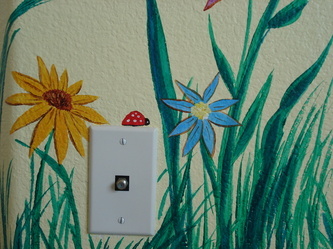 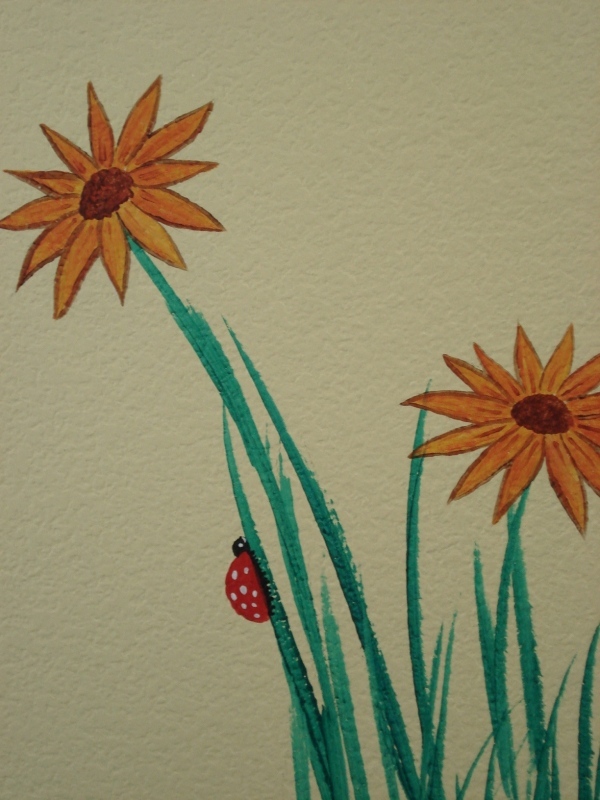 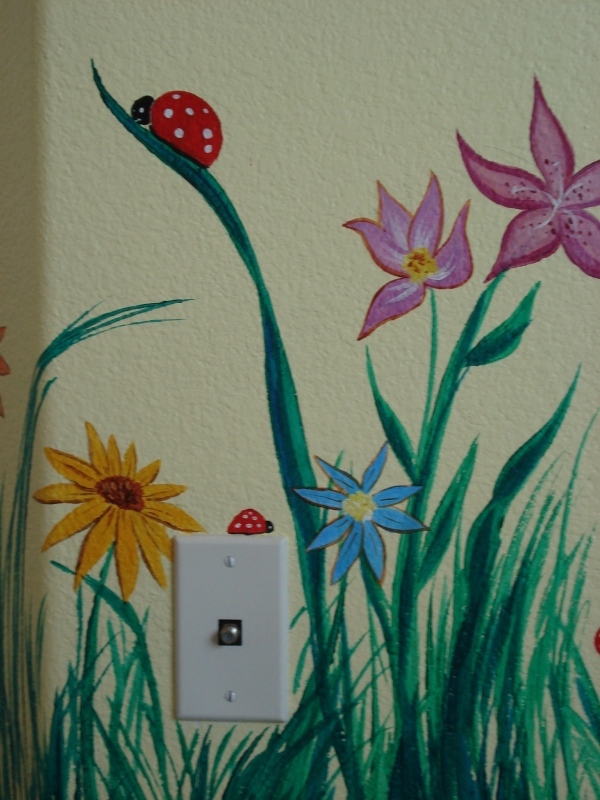 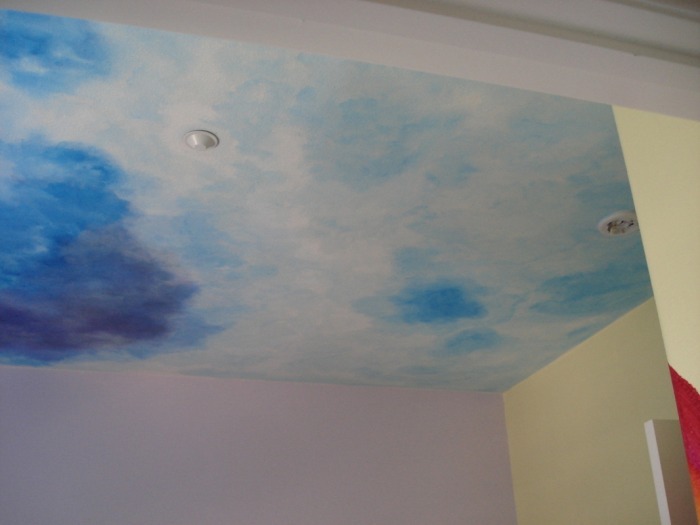 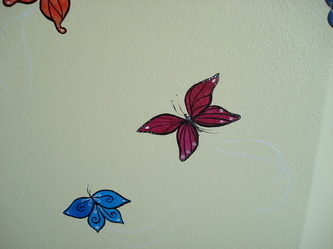 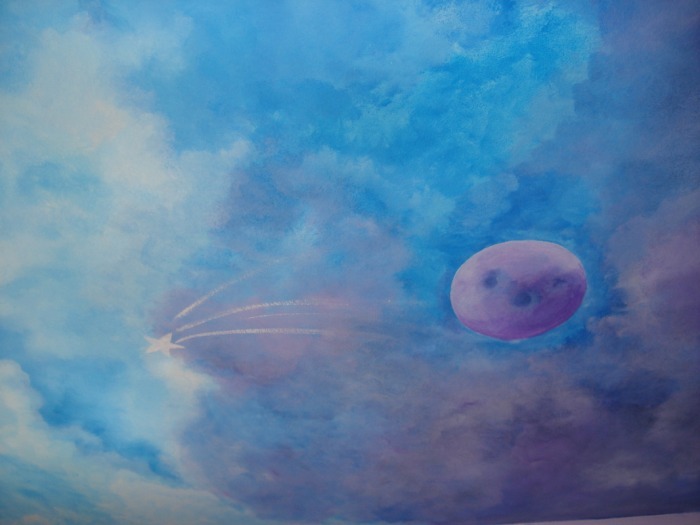 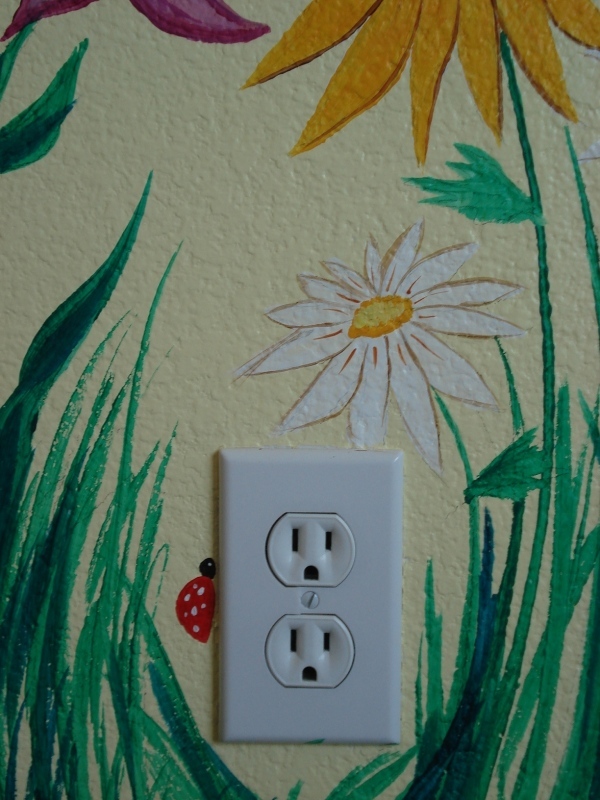 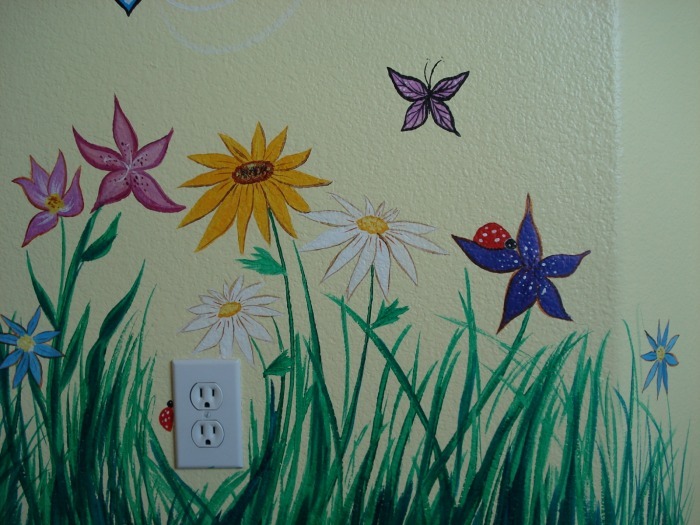 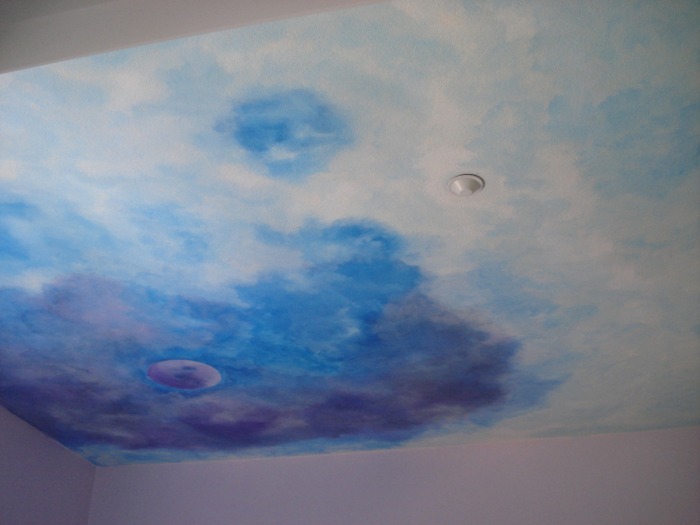 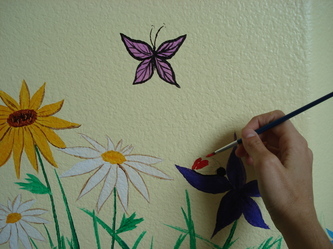 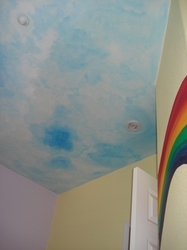 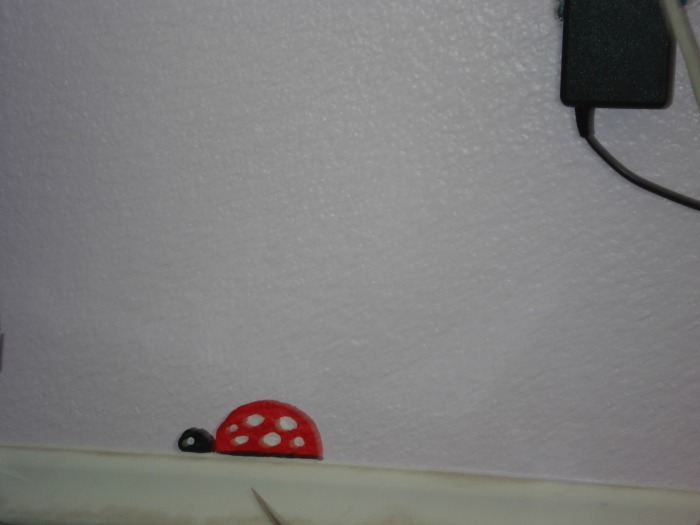 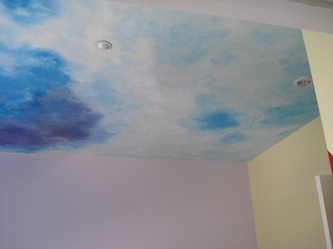 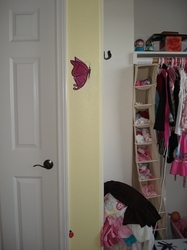 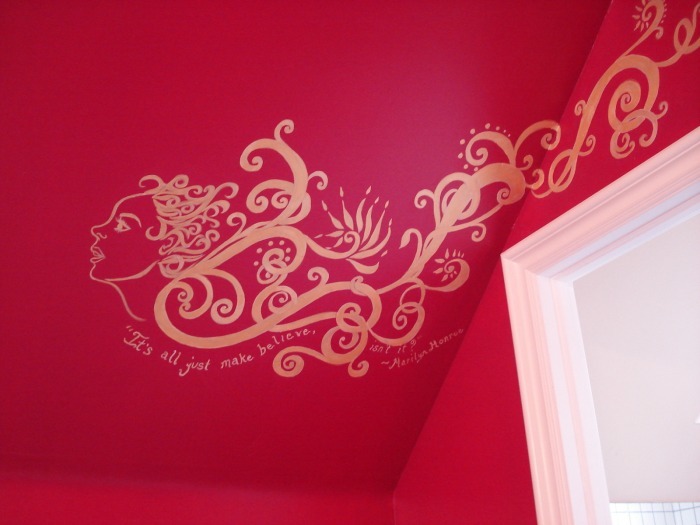 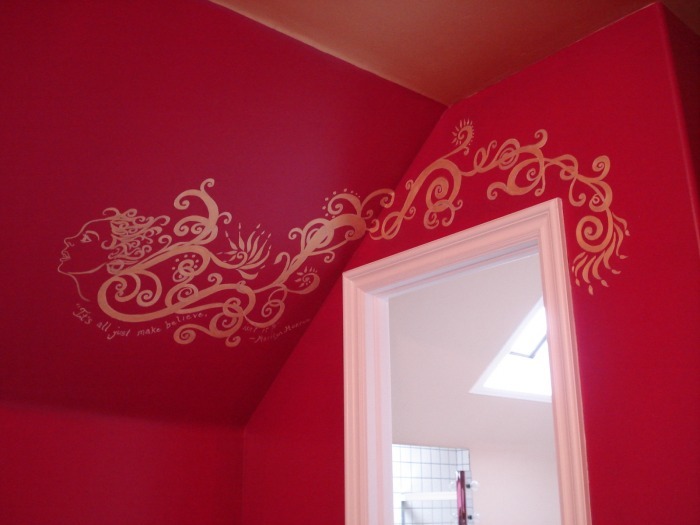 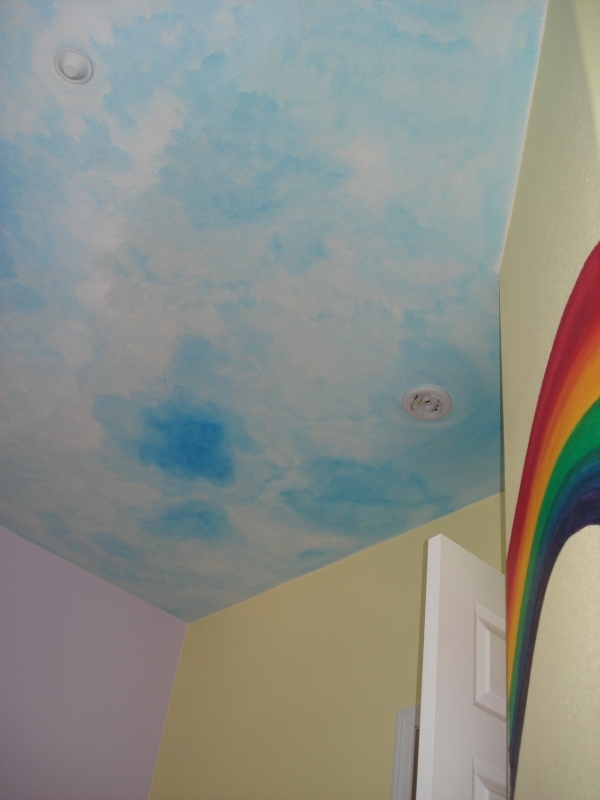 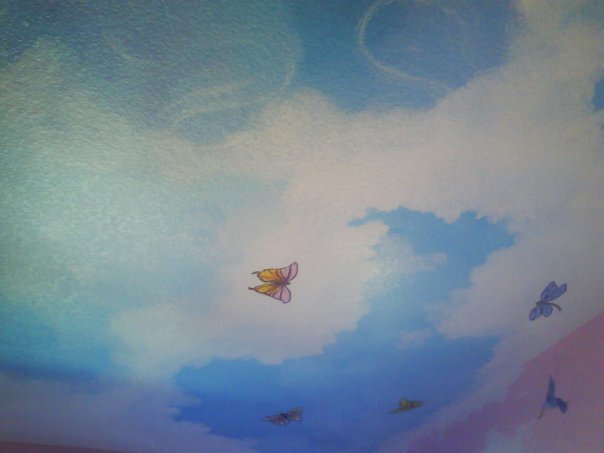 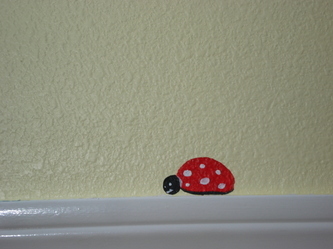 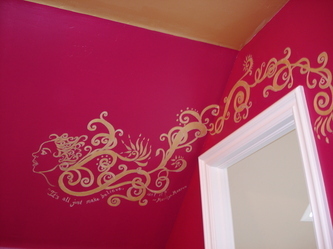 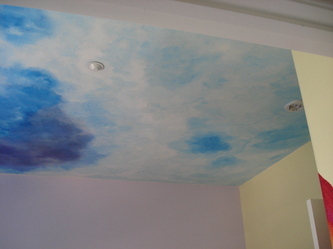 This was a ceiling and wall mural for a five year old girl's room. 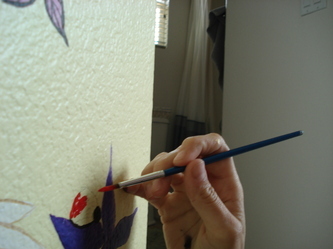 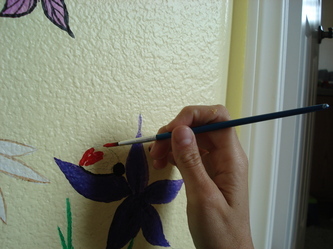 She gave me some great ideas of adding the purple moon and shooting star, the rainbow, the flowers and lady bugs! 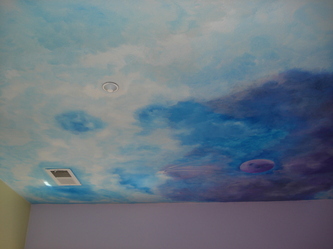 Here is another example of a ceiling mural that also traveled down around the room. 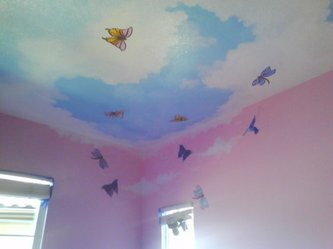 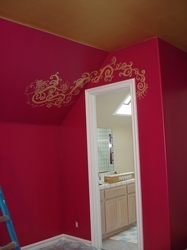 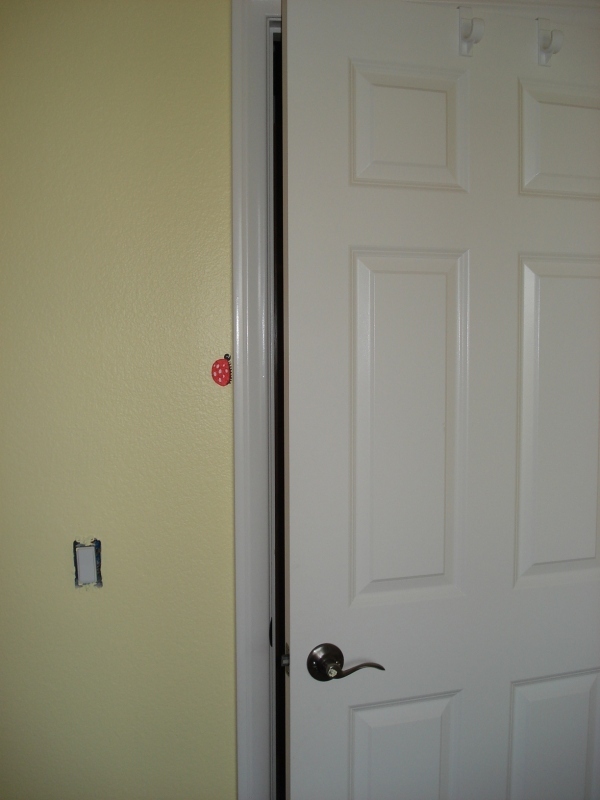 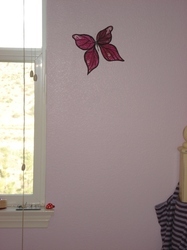 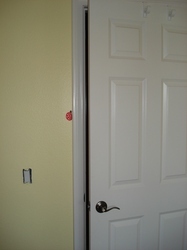 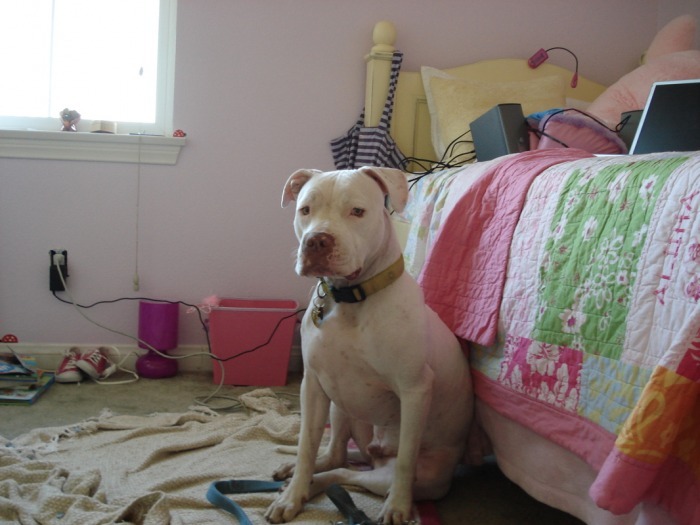 I painted all four walls pink, as well as did the sky scape. 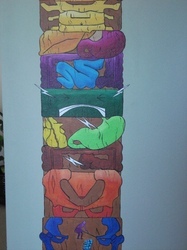 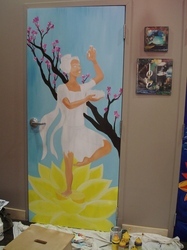 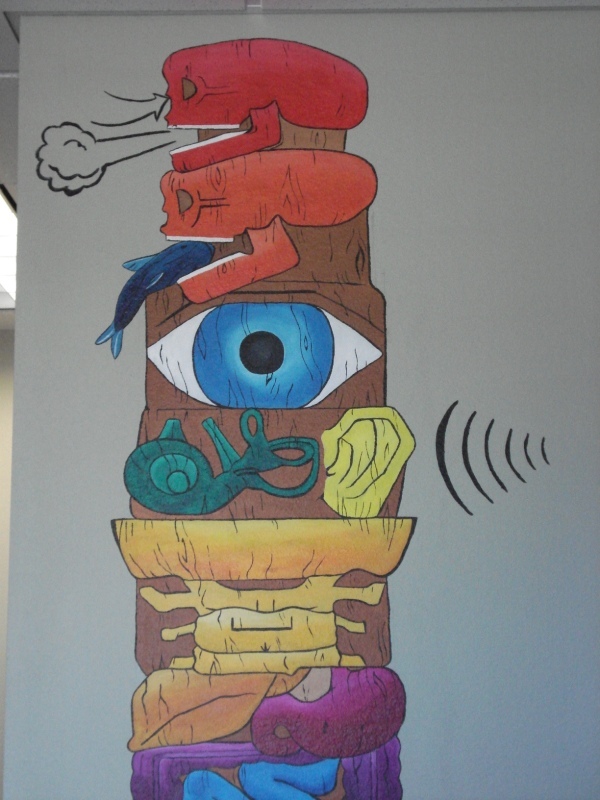 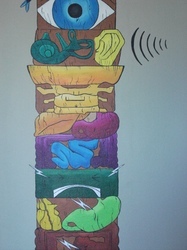 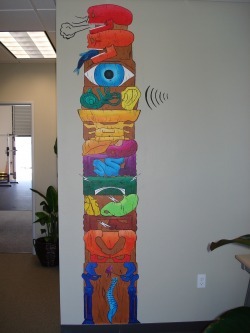 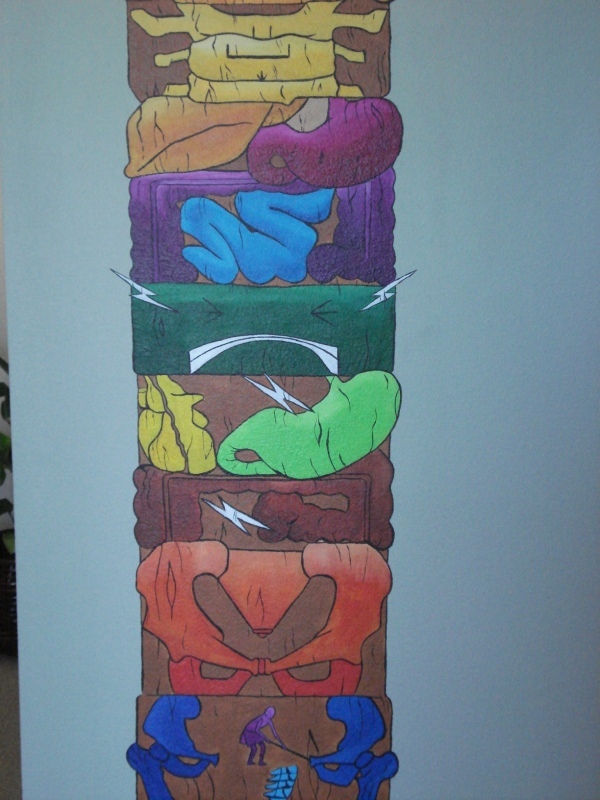 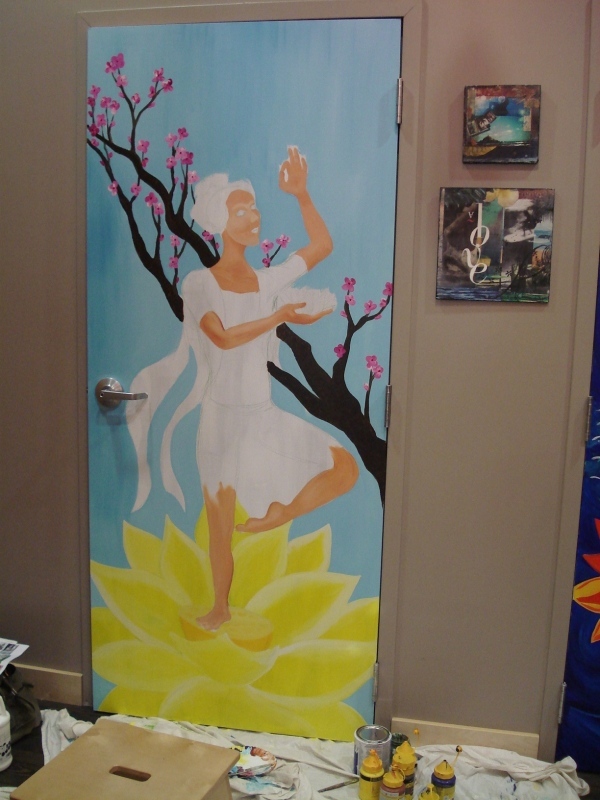 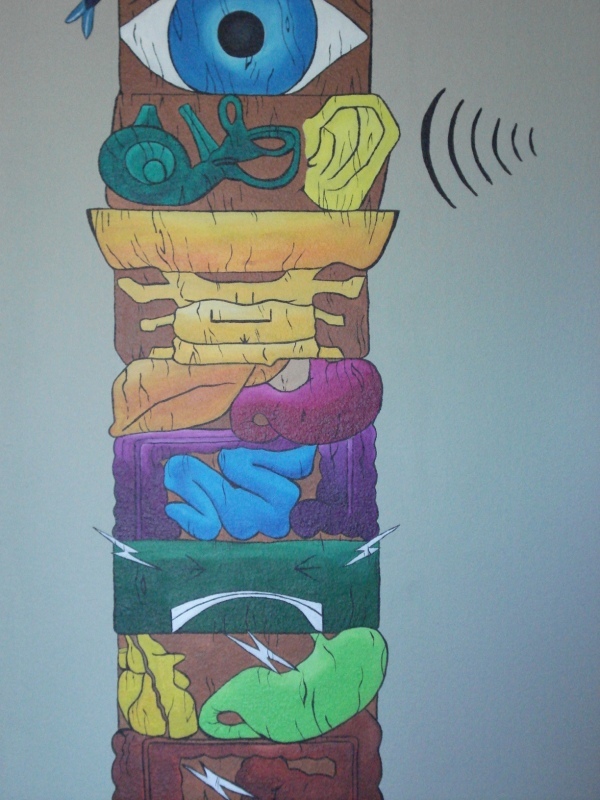 East West Healing ~ Chek totem painted for a holistic personal training and health center. 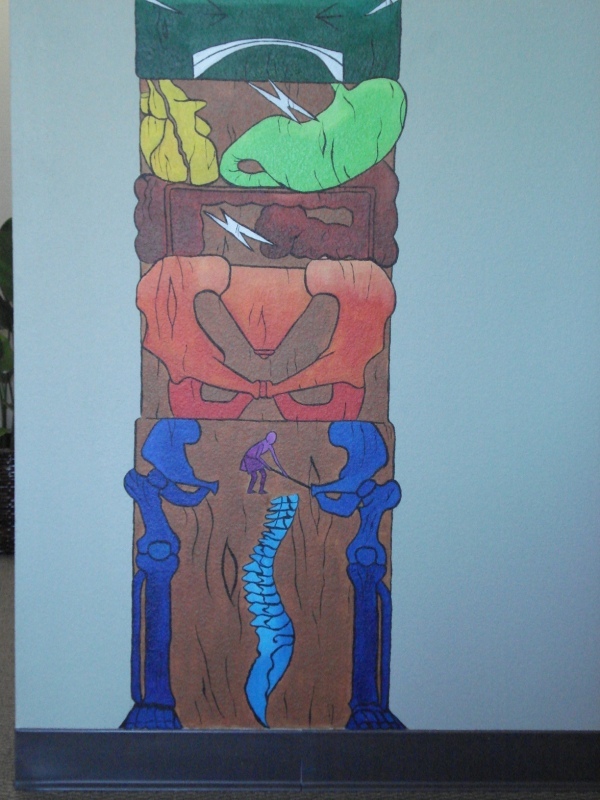 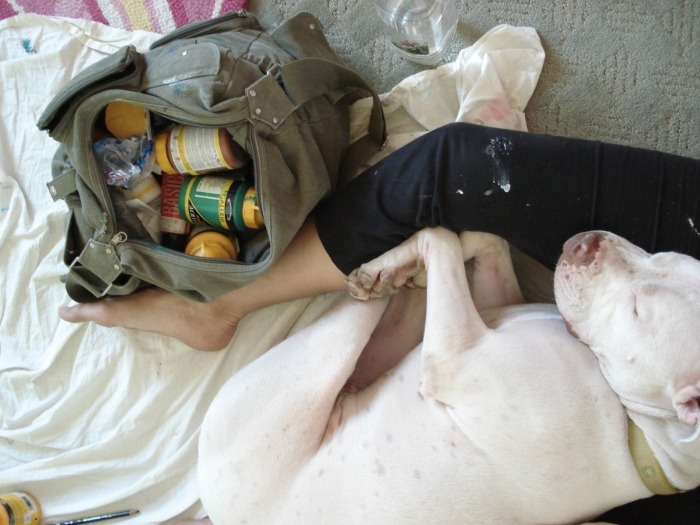 This is Paul Chek's body totem image. 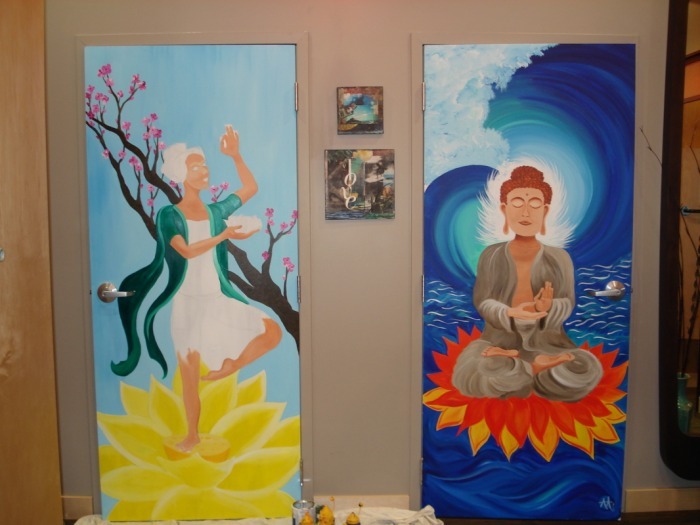 Josh and Jeanne, owners of East West Healing, are both Chek pratitioners and train in this phenomenal body wisdom and program. 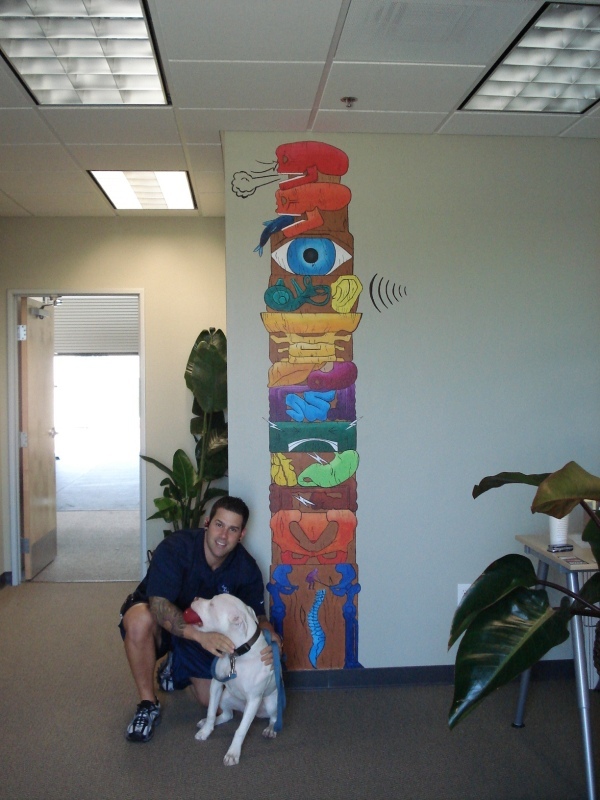 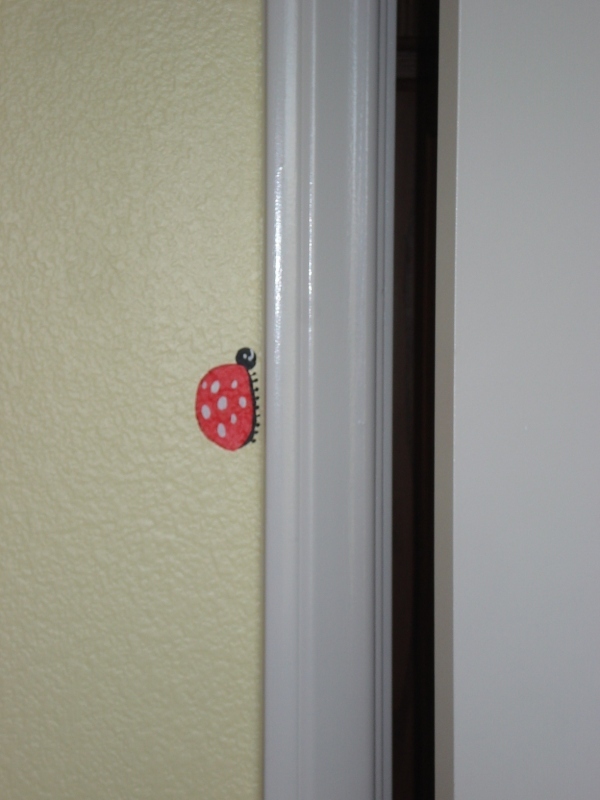 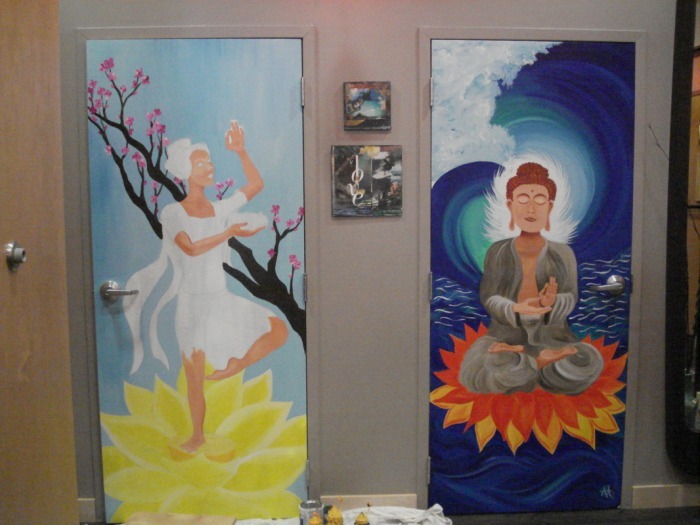 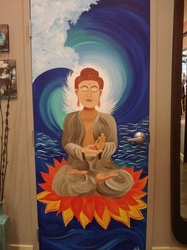 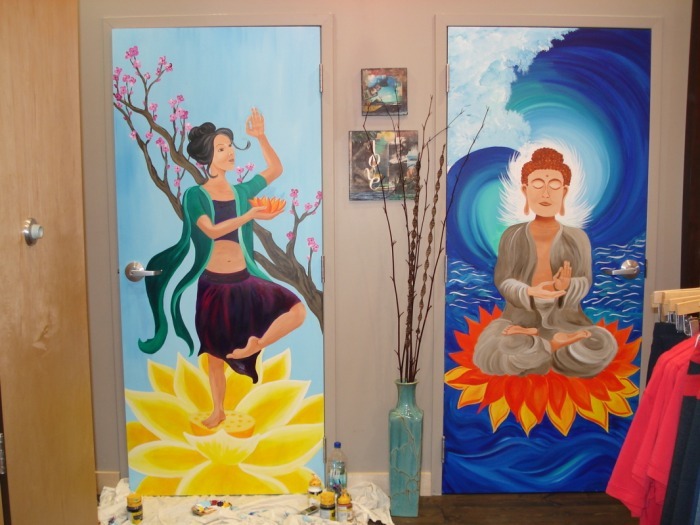 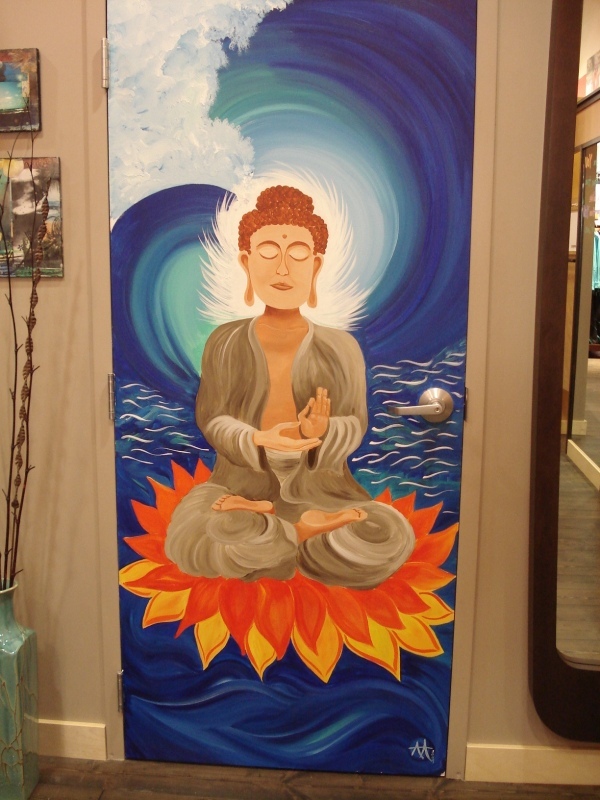 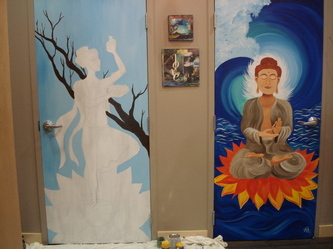 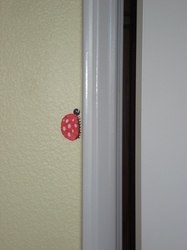 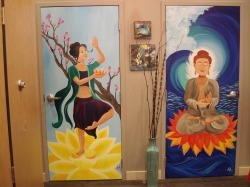 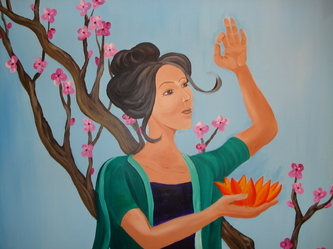 This was commissioned for their office and training studio in Carlsbad, Ca. 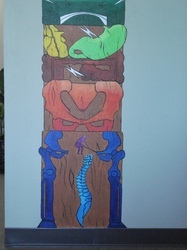 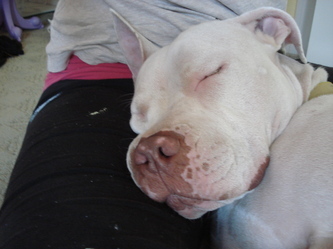 Check out more about them on their website: www.EastWesthealing.com. 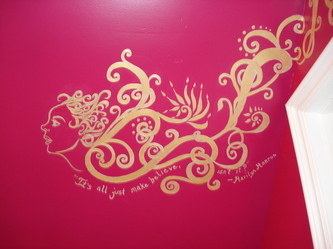 This one was for a 16 yr old girl who wanted some quotes written on her walls.